Muslim women and children fleeing abuse could soon have access to a specialized shelter catering to their cultural and religious needs. While there are many organizations in Calgary offering services for Muslim women escaping domestic violence, there are no specialized shelters. Nisa Homes — a project of the National Zakat Foundation, a registered Muslim-focused charity in Canada — is in the process of raising money to rent or buy a five to six bedroom home in the city that would help accommodate what it says are a growing number of vulnerable Muslim women in Calgary. Nisa runs the first and only group of transitional shelters for Muslim women and children in Canada. It operates three other locations in Mississauga, Ont., Windsor, Ont., and Surrey, B.C. "There are women who are not sure how to seek support through conventional means," said Maria Arshad, national manager for Nisa Homes. "Having that familiarity when they come to a place and not having to explain some of the things they need often makes it easier for them to heal from the trauma they've experienced," said Arshad. Calgary is the fourth largest city in Canada and is home to the third largest Muslim population. "A lot of times they pray at home and that's one of the barriers they sometimes have at other shelters with shared living. Sometimes they don't have a place to pray, and if they wear a hijab sometimes it's not fully understood by those around them," said Arshad. "For us, because it's catered to them, that means they can pray and sometimes they do go to a mosque depending on the area because there are women who may come from a different part of Calgary," Arshad said. "Alberta has a very high rate of intimate partner abuse, it's [the] third highest rate among the provinces," said Arshad, adding that there's currently an over-representation of Muslim women seeking help in Calgary. "You have a lack of capacity here and in addition to that I have experiences of women who've used shelters but because they're concerned about not having something that's sensitive to their cultural and religious needs some are not seeking that support." Between 2016 and 2017, shelters in Alberta turned away more than 22,000 women and children due to lack of space, said Arshad. Research by her organization found some shelter providers in Calgary found up to 40 per cent of women seeking help were visible Muslims. Many are new immigrants and refugees and can be socially isolated with few friends and no family in Canada. "We are doing well but we still have a bit of a way to go, but the community has been very generous," said Arshad, speaking about fundraising efforts in Calgary, which included a charity dinner event held on Saturday night. Other organizations working to address domestic violence in Calgary welcome the move to provide a specialist shelter for Muslim women, but encourage the charity to work closely with existing organizations and agencies. "Customization of services for Muslim women experiencing domestic violence is very important," said Andrea Silverstone with Sagesse Domestic Violence Prevention Society, the backbone agency for the Calgary Domestic Violence Collective. Calgary already has several organizations working with Muslim women including: the Muslim Family Network Society, Mosaic Primary Care Network and the Calgary Immigrant Women's Association, although there is no Muslim-specific facility like the one planned by Nisa Homes. 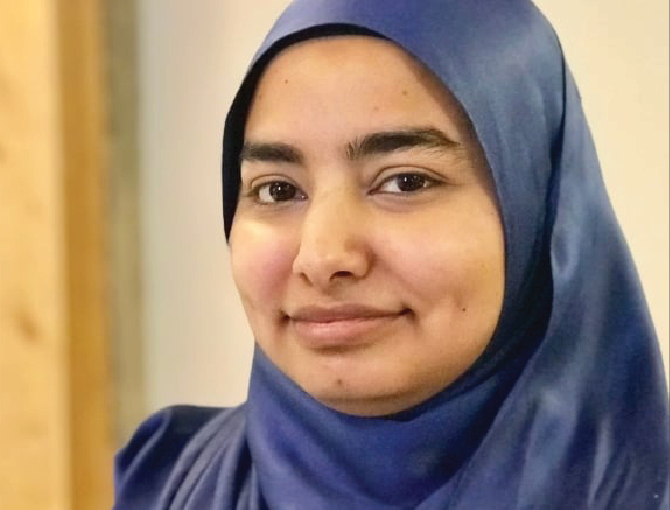 "There's not a shelter for Muslim women and so it's important that whatever it is we create taps into existing services, builds upon them and leverages them to make sure we're providing the greatest array of services in the best way possible," said Silverstone. The Nisa Homes shelter is expected to be funded and ready to take its first clients by March 1, 2019.